Thank you for dropping by! 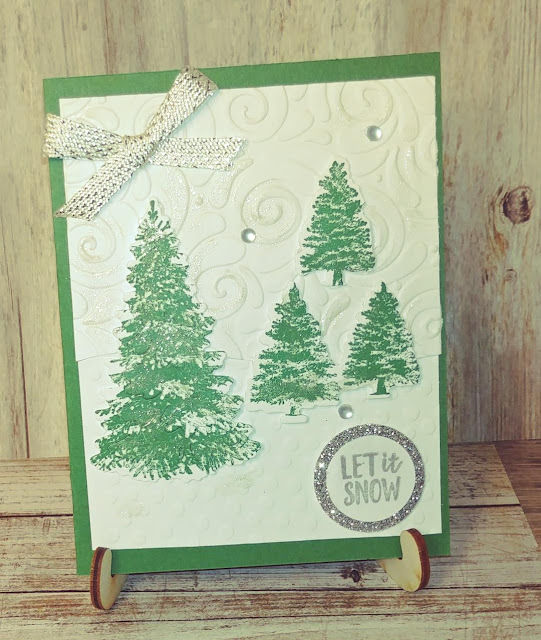 Here are 2 of the cards that we'll be making in class for the Monday class and later on for SOS Club, Titusville and Cocoa Beach! I hope you enjoy them! Actually, this is one of the cards we made last week in our classes! You can never go wrong with beautiful pine trees!! Don't you love it when you find the right masculine birthday card? 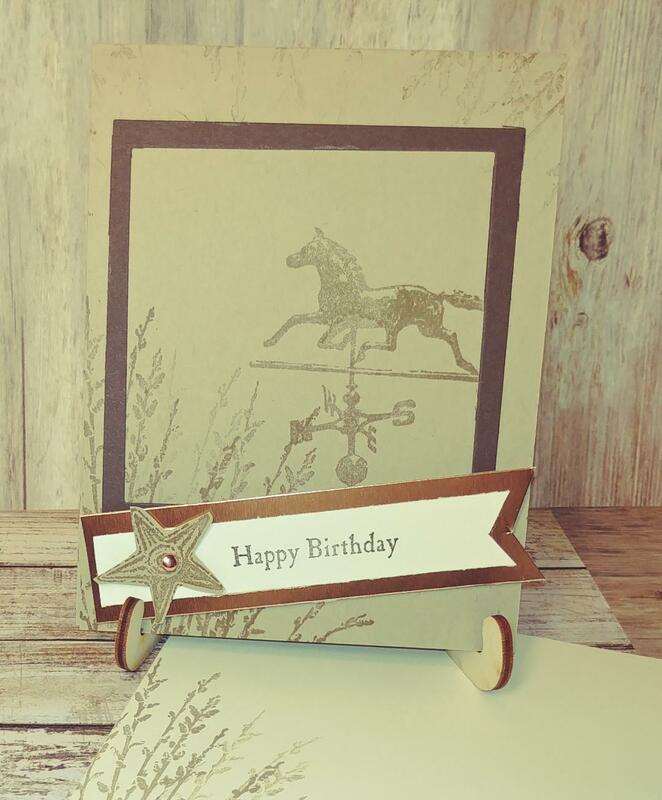 I love the simplicity and ease of this card. My main ideas came right out of the Annual Catalog (Country Road). 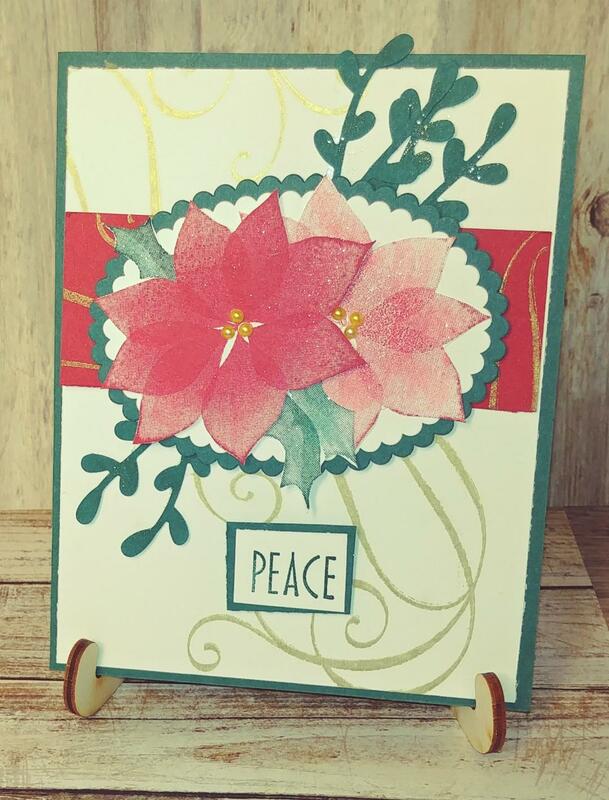 Just a touch 'o gold and a little Stella for this pretty poinsettia card. I just stamped off for the second flower image. I used my Dark Daffodil Delight Stampin' Blend marker to color my pearls. Well, just in case you've tired of my endless butterfly hatchling pictures (19 Blue Swallowtails and counting!! 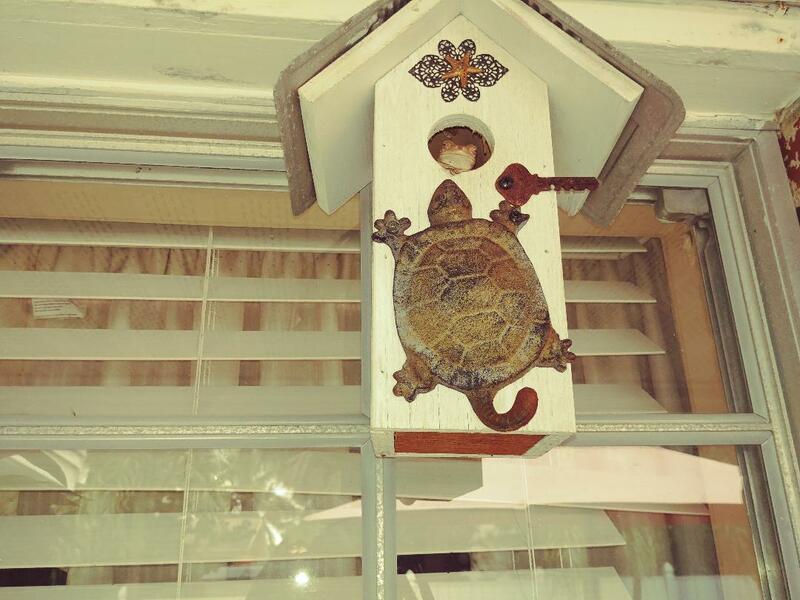 ), here is Mr. Froggie in our little bird house that Miss Kimmie gave us a few years ago. You might send me the words tree frog for a little stampin' candy. I think he is napping in this picture but we were happy to see him back! !